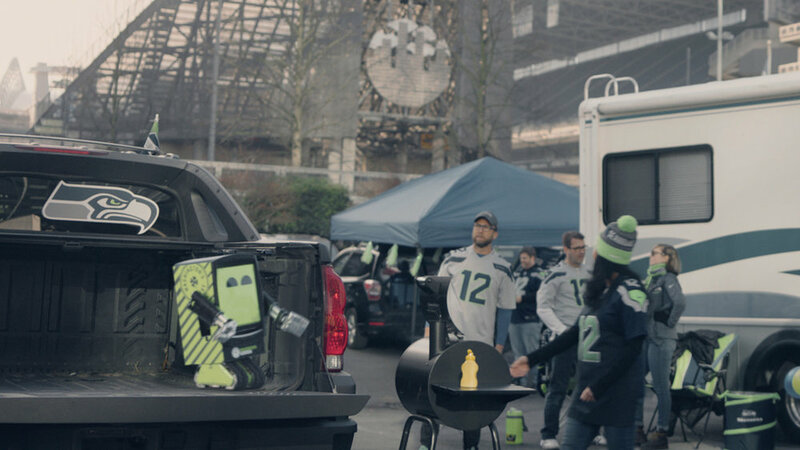 A Washington’s Lottery vending machine embarks on a journey of discovery in the new spot “The Curious Lottery Vending Machine” brought to life by The New Blank for agency Cole & Weber. Released from its static existence, an animated Lottery Vending Machine (LVM) explores the places and meets the people Washington’s lottery benefits. Pride and happiness come from seeing this impact firsthand. Employing the concept of this pint-sized LVM, Cole & Weber and The New Blank worked to develop a narrative experience that illustrates the lottery’s impact with emotion and entertainment. Produced by The New Blank and directed by TNB’s Bobby Hougham, the story was ushered forth with an animated LVM exploring a live action world for magical moments grounded in reality. Headquartered in Seattle, The New Blank is a happily obsessive group of directors and designers weaving beautiful tales for every modern medium. From live action and animated narratives in advertising to large-scale experiences and network and show branding campaigns, The New Blank combines research, concept and craft in everything they do.